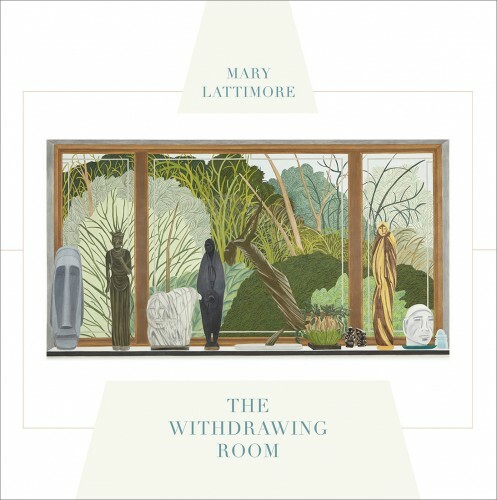 An exquisite debut from Mary Lattimore, working a wonderful magic on her harp, doing for the harp what Fahey & Basho did for the guitar, offering one of the most serene & lovely records, for drinking tea and watching the sun rise in your green room, subtly layered & picking so soft it’s barely audible, whispers silenced in the breeze, matched perfectly with exotic electronics conjuring peepers & nightowls, so peaceable that the necessary Bell Jar breakdown in the middle of the A side almost undoes everything that precedes it, but it recovers, restores a beautiful order, and nearly forgotten in sweet bliss by the end of the whole thing, drowned in a minimally lush majesty. Desire Path keeping their flawless batting average up with this one, such a stellar record, and all the more exciting since it’s her solo debut. Available on April 1 and only 300 pressed, so don’t say I didn’t warn you.